Discussion in 'Star Citizen' started by Horace, Apr 6, 2018. Welcome to March’s Monthly Studio Report with updates from all our studios to provide insight into what they’ve been working on. This month, the team delivered Alpha 3.1, the first quarterly release of 2018, continued development of Squadron 42, and much more. With that said, let’s get to it. The US Vehicle Feature Team, which includes team members from Tech Design, Engineering and QA, accomplished a lot this past month. They made some vehicle-related performance improvements, such as with the Vehicle Item Thruster and Landing/Spawning Components. From there, they looked into the previous progress made on the Scanning feature. This included some further investigations, planning, and initial tasks to get this large feature moving towards delivery, and the team is eager to press forward on the feature. Finally, a large percentage of the team’s time was spent fixing over 50 bugs, including several game crash issues, in our SC Alpha 3.1 branch. The Los Angeles portion of the US Vehicle Pipeline, which includes team members from Art, Tech Design and Tech Art, had a busy March. 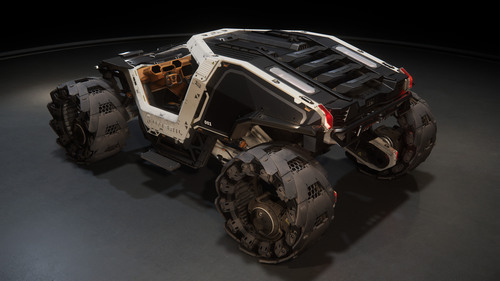 Working together with other teams outside of LA, such as Animation, VFX, SFX and UI, they launched two new vehicles: the Anvil Terrapin and the Tumbril Cyclone. The Art Team completed their pass prior to March, but continued to provide needed adjustments as other teams wrapped up these two vehicles for the SC Alpha 3.1 release, with all teams working through bugs right up to the release. 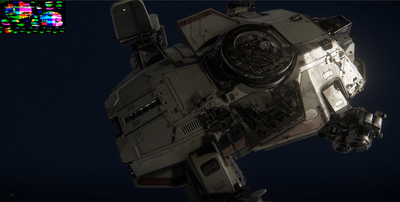 Tech Art, being a shared resource, worked on some additional vehicles for the 3.1 release: the MISC Razor and the Aegis Reclaimer. Tech Art not only handled the ship damage, but also the rigging, animation and hook-up for landing gear compression. They can’t wait for players to experience landing the Reclaimer in the ’verse. Meanwhile, Art and Tech Design moved forward on vehicles that will be released after 3.1. Art made advances on both the Anvil Hurricane and the updated Consolidated Outland Mustang. Tech Design worked on design briefs for some vehicles that will be slated for future release. The Gameplay Feature Team continued to polish the Character Customizer, with the ordering of options, minor UI tweaks, the introduction of idle animations to give characters a more lifelike representation, and the implementation of preview sprites for customization options available in the initial roll out. 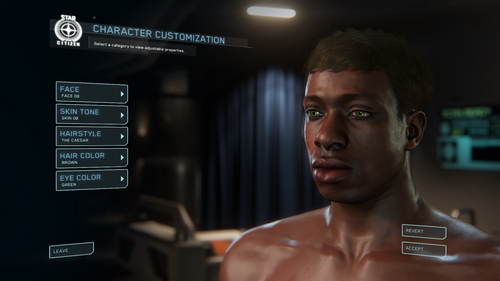 This should allow players some personal expression so they don’t look too similar to others, while more advanced tech is being developed to realize the rich vision CIG has for this feature. After polishing the Character Customizer, the team shifted their focus to cleaning up bugs around core experiences initially released for SC Alpha 3.0., beginning with UI and reliability bugs in the insurance claim flow for vehicles. There was general ship improvement in missiles and countermeasures, including 3D radar UI for missiles and proper locking functionality when switching between targets. Issues with ship repair at Cry-Astro were also addressed. The team ensured weapons and attachments were being fully restored to repaired vehicles and that the proper aUEC was withdrawn. Finally, some light and cargo-related issues recently introduced were addressed to restore previous functionality. The Narrative Team handled a wide variety of tasks. They delivered lore content to the site every Tuesday, including part one of the new serialized short story One Good Deed about a Vulcan pilot that runs into trouble during a refueling operation. Subscribers got access to a new portfolio focused on the history of Dumper’s Depot. Time was also spent on this month’s issue of Jump Point, delivering content for marketing materials, and filming a new batch of Loremaker’s episodes. Besides the usual workload, the team turned their attention to building out the narrative surrounding Hurston and the Lorville landing zone. They used the location to set up highly detailed templates that track specifics of a landing zone and its surrounding biomes. As part of this, a Plant and Flora page was designed to catalogue all the different space plant varieties, their placement in-game, and more. One of those plants, the Emperor’s Bloom, even received a brief Galactapedia write-up in March’s Jump Point. 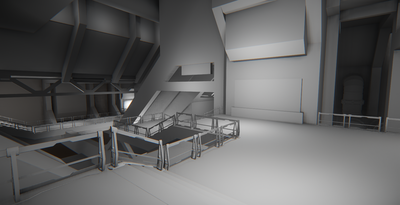 Narrative also began revamping the system for generic NPCs to help breath more life into a location. They also focused on the Xi’an by creating a document that outlines their habitation spaces. Finally, they wrote numerous descriptions for various weapons and special weapons skins. 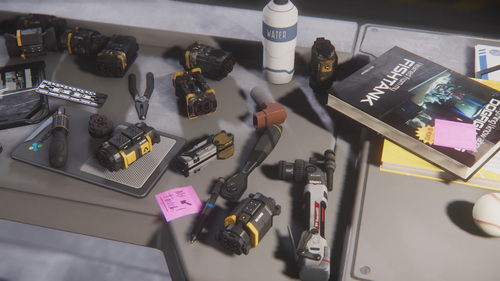 The Character Team worked on a multitude of assets across both Star Citizen and Squadron 42. The Legacy armor variants for Outlaws and Marines are close to being finalized, while the Hurston and Olisar Clothing Collections continue to be developed and should get into the ’verse soon. A lot of work went into the principle characters, outfits, and weapons that will appear in Squadron 42, including the fleshing out of various alien species. In addition to all these assets, the team fixed several bugs across different character related features. The team wrapped up the last Service Beacon features for the 3.1 release. The final touches included the ability for players to see the required reputation for each Beacon, and their own reputation values, so they can better understand the specifics. Everyone is extremely excited to see how fans receive this, since a lot of games don’t allow for player-created content. The shopping service was unified under one umbrella, instead of tracking each server’s economic status. Now, all game servers will pull the pricing information from a single source. This was always the original intention, and it fixes a few commodity trading exploits. With this unification, the team also restructured commodities to better represent the flow of goods. Outposts are now the main “producers” of goods, and stations are now the major “consumers” of goods. This presents a complication though, instead of balancing the game for a single server of 50 people, the team must now balance it for the concurrent player base. This will require a few iterations, since designers need to see the amount of goods being traded by a larger segment of the population. The team is looking forward to the first batch of analytics so they can hone this system for you. On the character front, the Hawkers are back up and running. While there wasn’t the bandwidth to clean up additional animations, designers did hook up the original animations from the demo where they were originally shown off. They also converted a lot of basic flair items to the Item 2.0 system. Previously, they were using a lot of prefab spawning, but that system has been deprecated for the new object container system. There are known issues with some of the more complex objects, such as the liquor cabinet and the Jukebox, but there should be a vast improvement in the number of flair items working in the hangars. Finally, the team fixed quite a few trivial issues, and overall, are happy with the Alpha 3.1 build. They hope you’re happy with the progress and look forward to giving you more in 3.2. The Constellation Phoenix continues through the high poly modeling phase. The current focus is on the Aquarium (interior set pieces) and other corners of the interior, which are being brought up to almost final detail stage. This work includes POMs (parallax occlusion maps) and decals. There has also been work done on ‘fancy’ custom textures to give the interior a luxurious feel. The F8 Lightning is currently in the final, high poly (detail) phase that applies the POMs, decals, and final geo tweaks. 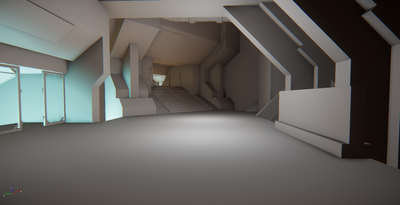 There was also another pass on the ship lighting (exterior and interior) and materials. Finally, the team addressed ship related bugs for the release of 3.1.0. This month, the Server Engineering Team supported 3.1, assisting in work required for the Service Beacon. They also made an extension to Diffusion, which makes some communications between services during startup more reliable. 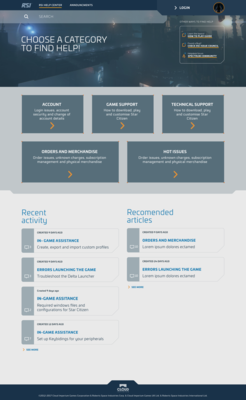 The team discovered performance issues in the one of the back-end caches responsible for holding player inventory (ships, personal items, etc.). They applied optimizations that will greatly increase the responsiveness of those services, and have also been working with the Platform Team to complete the API between Diffusion and Platform services, allowing for easy and seamless communication. Finally, they finished “Diffusionizing” the game client. Previously, the game client could only communicate with the services via a legacy communication system, which was very rigid and not so easy to extend. Now that it is using Diffusion APIs, the game client will not only be able to more easily communicate with the back end, but all services can communicate with any game client in ways they were never able to before. ATX PU Animation focused on finishing two mission givers, Luca Brunt and Wallace Klim, and started on a third mission giver, Recco Battaglia. They are working closely with the Facial Animation Team and providing weekly progress updates to ensure the quality is up to snuff. These animations will next go to Design where they will be hooked into the AI system so players can interact with these characters for new mission content. They are also processing data for mission givers and cinematics, and are working to make sure that the quality control of the data is as close to 1-to-1 as possible. The team is having a blast playing with data from actors Mark Hamill and Gillian Anderson. 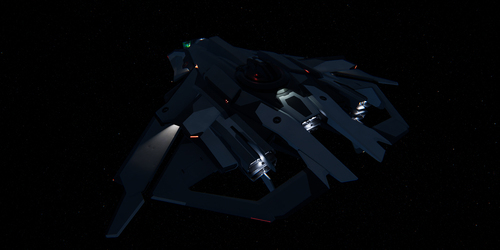 The ATX Ship Animation Team created new enter/exit animations for the Aegis Reclaimer. There was a strong push to complete the ships featured in the Alpha 3.1 release, as well as various bug fixes for the game. 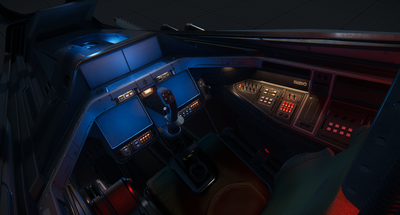 In addition, they made a new Dual Throttle Cockpit Type that will be showcased in an upcoming release. March was an exciting month for the DevOps Teams. BuildOps made dramatic advances in the stability and performance of the build system with times being again cut in half in certain areas of the build pipeline. Internal build quantity and delivery numbers doubled during the month in support of the 3.1 quarterly release. Publishing Ops worked around the clock most days to identify and deliver the painstakingly detailed performance analytics needed by the dev teams, along with multiple daily internal and external publishes, including Evocati and PTU. It has been highly rewarding to see the dramatic impact of performance work by the dev teams. March was all about 3.1. 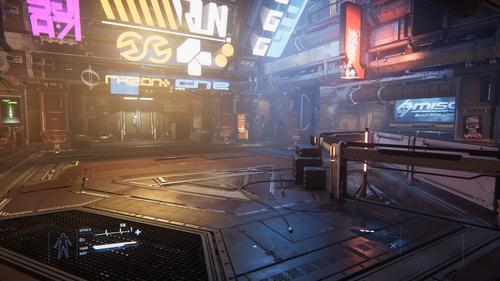 At the time of writing, the team has tested over 30 builds as an Evocati or PTU candidate. Each build requires checking of core functionality, the environment, and the launcher to make sure everything is ready to go before backers get access. Each build signed-off for PTU requires additional support after it goes to the environment. They monitor stability, provide reports of new crashes, capture performance data, and hand off everything to the Engineers and Producers to examine the next morning. The day after a publish, UK and ATX QA go over the top bug reports coming from players (via Game Support and Issue Council). They track new issues players are seeing, what is already ticketed, and what new bugs need to be investigated. As you can imagine, it’s a tremendous amount of work for each publish and the team pulled long hours to support the schedule. Between publishes, there’s also been extensive test passes on actor synchronization, network message conversion, Ship AI, Shopkeeper animations, loadout improvements for Star Marine, outpost updates for the moons, service beacons, and new weapon skins. 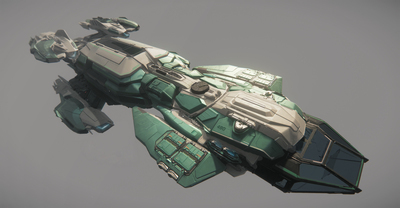 Ship testers were kept extremely busy as the Reclaimer, Cyclone, Terrapin, Razor variants, and the Nox Kue all come online to test. With the developer sprint teams going full-tilt, testing also started on potential 3.2 content, like the lean system and FPS Combat AI. 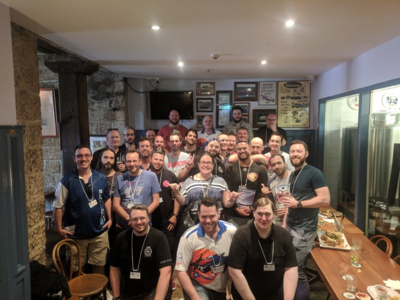 The Player Relations Team was all hands-on deck, coordinating with several other teams to get 3.1 through PTU to Live! 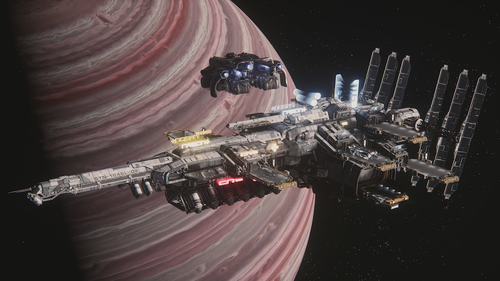 The 3.1 testing cycle was the first in the new quarterly release schedule, and the team could not have done it without the heroic efforts of the Evocati and PTU testers. While work on features continued, Player Relations primarily focused on troubleshooting particularly nasty server and client crashes and working with DevOps and QA each night to sort them out. With 3.1 now Live, the team would like to remind and encourage everyone to use the Issue Council to help triage and rate bugs and functionality. They will use that data to prioritize future updates. Plus, Issue Council participation makes players eligible to get into earlier PTU waves. The Ship Art Team continued their work on the game’s ever-expanding fleet. The interior of the Aegis Hammerhead is mostly set out except for the crew dorm and kitchen. Currently, the cargo bay and bridge are receiving a detail pass. The Eclipse, another Aegis ship, is in full production with the current focus being the exterior. The team is reinforcing its stealthy appearance by tightening the pom (panel-line details), enhancing the materials, and making sure all the moving parts are operational. The weapon audio system underwent a substantial refactor. Work began on designing full NLPC weapon perspective sets, along with specific sounds for various distances. An environmental weapon report, or tail layer, was added for all weapons on planetside locations to better reflect the environmental response of weapon fire. Recently, the Audio Team took part in a sound effects recording session at Oscillate Studios, focusing on vibrating various metallic objects using transducers that respond to low frequency sounds. The metals were stimulated via synthesized tones from a MIDI keyboard that played with the pitch to impart different resonances and sympathetic rattles to a diverse range of scrap metal objects. The session’s primary focus was to create source material for ships. This was partly inspired by the sound production on the film ‘Interstellar,’ which used large scale subwoofers to resonate aircraft fuselages, modeling the behavior of spaceships under duress, simulating atmospheric entry and strong gravitational fields, and so on. The Graphics Team implemented some major performance savings when rendering characters. All characters are split up into many different meshes, not only for swapping out clothing and armor, but also to hide individual portions of an object to avoid interpenetrating geometry. Shaders, textures, and geometry have been organized to render multiple adjacent meshes in one go, which vastly reduces the CPU cost of submitting the work to the GPU and maintains flexibility. The team improved the quality and legibility of various UI screens with two new shader effects for the render-to-texture system. The first is an edge-highlighting effect for ship targeting displays, and the second is a drop shadow effect to help text and icons stand out against bright backgrounds. The UI Team researched ways to improve performance by analyzing where the CPU spends its time. Optimizations made to the code of the ECG graph on the visor significantly reduced the CPU cost without effecting visual quality. The ECG graph has a buffer for the heartbeat values. With every update, the game added a new value onto the front of the buffer and removed the oldest from the back, which caused an expensive memory shifting. To prevent this, the team now uses a circular buffer that stores an index to the oldest location in the buffer. When the index reaches the end of the buffer it loops back to the start in cyclical fashion. This is more efficient because memory is only written to rather than being moved around. Alongside the UI Visual Team, the EU-1 Gameplay Team has had UI involvement with the team focusing on polishing up the VMA and PMA mobiGlas apps. For these two apps, a strong focus has been put on improving the overall user-experience by fixing bugs present in the current iteration, as well as overhauling the mobiGlas layout in general to make more use of screen real estate and breaking the menu layout into a more intuitive structure. On the engineering side, the Star Marine Loadout Customization screen in the Front End has been converted to use the PMA code. This will make fixing issues on this screen much easier, as the PMA replaces the custom code that was previously released. The second optimization applied to the ECG was to stop redrawing the whole graph each frame. Instead, it now adds the new value to the right-hand side and moves the whole graph along to the left. It uses a clip-window to ensure only the essential parts are drawn, and the graphic data is recycled in a similar fashion to the circular buffer. AThe Gameplay Story Team organized all the required scenes in Shotgun. Currently, they are working with Design to get the first few scenes implemented in-game and up to standard. The first iteration of the Rest Stop will feature three main location components. The first being an exterior that presents a unique silhouette to maximize readability from a distance. The team also can vary layout and architecture to allow for individual personality and variety between stations. Diverse building materials, color schemes, and ad placement mean that a great number of visual possibilities are achievable through the modular construction of these stations. That means the team can automate layout generation while maintaining artistic control. Hangars are the second component. Rest Stops will be the first station type to fully utilize the ‘Common Element’ type of hangar, which can be used in every utilitarian hangar in the game. Even though the ‘Common Element’ hangar will share the same core design functionality, they are built to allow for the mixing and matching of walls, entrances, exits and service modules to achieve varied looks across locations. The third location component is the interior. The development of a procedural layout tool to generate these Rest Stops has been a big, and admittedly challenging, project. Work has advanced to where many layouts can automatically be generated using the tool and a set library of room and connector prefabs. Maintaining visual consistency and coherence, while still making each location appear different, remains an artistic challenge for the tool and team. Like the exterior, the trick is to randomize many of the smaller choices, like prop placement and lighting, rather than alter the larger room forms. This method allows the team to maintain artistic control over the main spaces flow and form. The Prop Team made improvements to the entity system within data forge. The change allows for one entity to contain both gameplay features and visual keys, while being set-up and controlled using one system. This means a set-up entity dropped it into any level will retain all working functionality. This makes syncing easier between animation and material effects, such as glows or UI elements. This has significantly reduced the number of lights needed to fake glowing materials or flashing lights during different stages of animation. Another task had the team revising metrics and template assets for usables and interactive props. This makes them easier to understand and allows for improved scalability and functionality support. Building on these tech improvements, they can now create destructible props that mesh swap and update environmental effects, such as lights, VFX, and audio accordingly. These tech developments are still in the early stages, and laying the foundation for future releases. A new set of “low-tech” medical props are being built out, alongside new medical dressings. Both are planned for use throughout the PU as common medical elements. Finally, the team worked on the sub-items that will be used to customize the performance of ship components. They are also making sure that there is a wide variety of visuals to support the gameplay when the feature comes online. The Missions Team is in the early stages of replacing the existing AI with an upgraded version. They have been focused on balancing and implementing wildlines for the AI controlled characters. Wildlines are pieces of dialogue that play systemically when the AI receives a trigger, such as damage. The lines personalize each player’s experience, as the AI will communicate with players differently depending on their relationship and history. As the AI continues to develop, the team also took the opportunity to reassess Arena Commander’s Vanduul and Pirate Swarm game modes. They rebalanced both with the focus on delivering a satisfying experience, rather than an extremely difficulty one. Another exciting creation is a prototype scramble race event, which can occur in space or planetside. These death races have opponents battling to collect randomly generated checkpoints and, more importantly, to stay alive. The races rely heavily on dialogue, so there’s a recording session planned to capture the necessary clips. Finally, the team has been rebalancing the reputation progression system. This was done because it became apparent that accruing a negative reputation was too easy and attaining a positive one too challenging. The VFX department collaborated with Graphics to improve the GPU particle system. VFX Artists are implementing lean production techniques to prioritize features that will provide maximum impact. Examples would be improved Spawn Inheritance and Curl Noise. Both features create better, cheaper electrical and plasma effects for things like the Coil interior and EMP weapons. They also worked through a large “snag list” for the Alpha 3.1 release. Tasks tackled included toning down the dust mote opacity in certain environments that underwent lighting updates, and re-adding planet/moon effects to work with the planetary tech improvements. Tech Design finalized Alpha 3.1 work by implementing and tuning new weapons like the Gallenson Tactical Systems ballistic gatling, Preacher Armament distortion scattergun, and Amon & Reese Co. laser cannon. They also supported the conversion of existing gear to Weapon 2.0. The team also focused on rebalancing. A lot was covered, including distortion weapons, after fixes allowed them to affect items instead of just shields. Countermeasures were made more effective post Item 2.0 implementation. Iterations of flight balance continued with a focus on atmospheric landing turbulence. Shield setback and regeneration rates were also rebalanced. At the other end of the pipeline, they worked with Art on exciting new ship concepts. These designs will be revealed throughout the year during Ship Shape segments in Around the Verse. The Derby office continued to expand its operations and prepare for motion capture shoots to further refine the player and AI movement sets. It was a pleasure to welcome several valued backers during the recent Imperator Subscribers event, where developers demonstrated core elements of their workflow, including facial animation, motion capture, and technical animation. The tour also offered the opportunity to scan three more faces that you can look forward to seeing in the ’verse. Progress was made on R&D for the Vanduul face rig and internal facial rig technologies, along with iterations to female rigs in Maya. The new 1:1 conversion updates to the rig will break a lot of animations that use props so the team has been developing an automated solution to fix the animation files without an Animator having to manually go through and re-work everything. Finally, the Facial Animation Team was busy finalizing animations on various PU shopkeepers, bartenders, and mission givers. This includes blending all the animations from the same facial poses, so they all play seamlessly from one to another. The Environment Art Team recently wrapped up polishing the existing moons in the persistent universe. Cellin, Yela, Daymar and Delamar all received a visual update that will further enrich the experience at each location for the 3.1 release. With the update of the existing locations completed, the team is shifting focus to Hurston. Hurston will benefit massively from new planet tech updates, and further additions to the planet tech are on the roadmap for the coming weeks. The numerous updates will help make Hurston a unique experience, pushing biomes further than what players have seen so far on the existing moons. 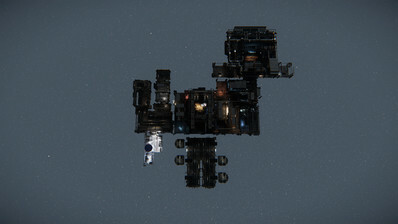 The team is also close to wrapping up the whitebox stage of the Lorville landing zone. Layout and locations have been approved by all departments involved, and the team is preparing to start full production to bring the city to its next stage. The Engine Team regularly works on both long-term items as well as low level bugs and performance, and this month was no exception. They refined the auto performance capture code and tools used to track heavy stalls on both client and server. The tools automatically take performance captures if the frame rate falls below a given threshold for a specified amount of time. They then analyze the captures and optimize code, content, and level set up if necessary. They made further progress on the performance telemetry system that will submit data so the team can analyze what typically happens on servers and clients, what actions cause performance slowdowns, etc. The data should allow them to tweak the game and improve the overall player experience. They also continued to work on reducing the initial startup time of the game. They found a lot of inefficient data parsing meant that the game would launch slowly, especially during the first startup on HDDs after the computer had been booted up. The Engine Team worked on optimizations of the physics terrain mesh generation, and optimized data layout and SSE instructions to improve computation speed. They reworked API for component updates to provide more flexibility and opportunity for further code optimizations, batching of updates, etc. The team handled rendering improvements for the vegetation shader. Good progress was made on skin rendering improvements, which included work on rendering eyes, teeth and tongues. An investigation into pushing the quality and fidelity of facial animations was kicked off. Plus, they continued code size and build time investigations. 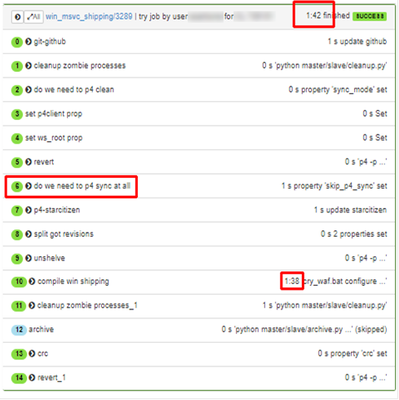 It’s an ongoing effort to uncover the reasons for increased code size and compile times to see what can be reduced. This is an ongoing task and the findings will be applied globally. The Tech Art Team built a new tool called cigXfer. It helps artists transfer skin data on various meshes, as well as on LOD meshes, without any assistance from a tech artist. This significantly speeds up the art update process, enabling artists to be more self-sufficient. They also implemented a large amount of animations that will be used for Squadron 42 cinematics. 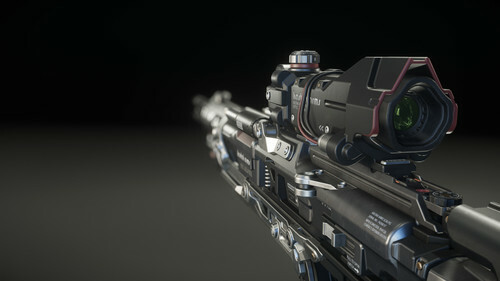 They collaborated with the Weapons Team to complete the previsualization rig and game entity for the Kastak Arms Scalpel sniper rifle. Work was done on a run time physic simulation for a portion of the handle of the combat knife. Research and development was done to refine the alignment of the camera with the sight of a weapon while leaning. They developed content with an additional bone titled “ADS_align” to help achieve the desired results. They are currently testing the new approach on the Klaus & Werner Gallant rifle, and once verified it will be replicated to additional weapons. The team worked with Art and Tech Design to produce Centurion and Imperator weapon skins for the Gemini LH86 pistol, Kastak Arms Devastator shotgun, and Klaus & Werner Arrowhead sniper rifle. They also continued R&D and implementation of the tools required for the next iteration of the Character Customizer. They primarily focused on consolidating how hundreds of head and head attachment assets (i.e. hair, beards or helmets) are being authored in Maya and then exported into the engine. Since every attachment is supposed to work with every possible head shape, even procedurally generated ones, they had to ensure the head topology remained 100% consistent during export. The Cinematics Team supported Squadron 42 level design efforts that previously had a lower priority. For these chapters, they blocked out and completed quick previs animation exports where level sections are still in the whitebox phase. For locations that are further along, like the Idris (Stanton) and the Bengal carrier, they did performance capture animation exports aligned to geometry and a defined scene root for all actors in the scene. This is an ongoing effort, as each chapter has a huge number of narrative scenes ranging from comms calls, conversations, walk & talk greetings, NPC chatter, and more complex scenes with multiple key characters in full-on filmic cinematics. In addition to the previs exports, they also focused on a handful of scenes featuring Gillian Anderson as Captain Rachel Maclaren. With the Vanduul Kingship bridge almost finished, they did a first camera pass on the cinematic Vanduul character sequences required for the story. This work coincides with a concentrated push for the Vanduul across different departments. Currently, Tech Animation is working on the Vanduul face rig, Character Art and Animation tackling costumes, key poses & silhouettes, and the Weapons Team focusing on Vanduul weaponry. An important part of cinematics work is to regularly sync with ship and environment artists. The teams discuss issues with the default metrics dictated for mechanisms like doors, displays, chairs and the existing geometry, or address problems that arise when performance capture deviates slightly from metrics or meshes. Most of these metrics were in place for the main shoot, but occasional tweaks or updates must be made to either meshes or the animation. It always requires the teams to carefully weigh what requires the least amount of rework and impact. Cinematics also supported Graphics Engineering to upgrade the human skin shading. They built a test lighting setup that mimicked reference photographs and replicated a PCAP head-camera setup in the engine. Results of this R&D and shading work will be seen in the coming months. The DE Lighting Team supported the 3.1 patch. 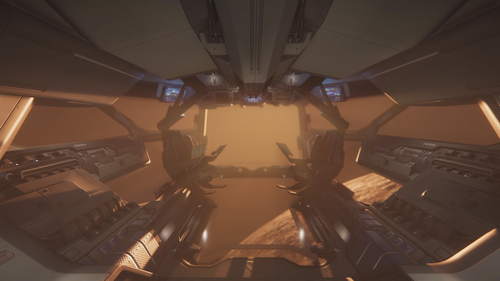 Their recent focus was finalizing a new lighting pass on the Echo 11, as changes to the lighting tools and technology have left the Star Marine maps visually out of sync. They’ve also helped the planet team with minor tweaks and polish to the atmospheres and color grading for Crusader’s three moons and Delamar. In addition, they assisted with several 3.1 goals, such as the new mobiGlas PMA/VMA character and item rendering, the Character Customizer, and general optimizations. 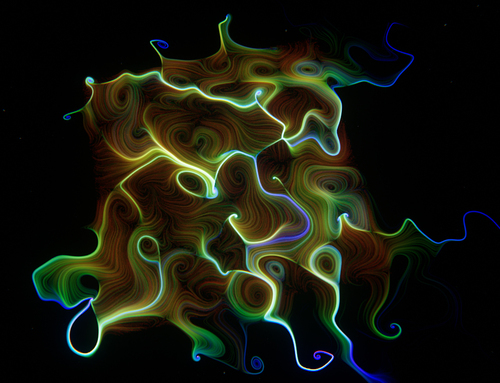 The DE VFX Team worked with UK programmers to further improve various tools, such as curl noise. This is a 3D noise field that perturbs the particles as they travel through the field, which creates some very unique and volumetric looking effects. They’ve also been fleshing out the Vanduul tech style, experimenting with the curl noise in combination with vector fields to create a visual style that sets the Vanduul apart. The DE Weapons Team finished the first art pass for the Kastak Arms Scalpel sniper rifle, and completed the Centurion and Imperator subscriber flair skins for a few weapons. The DE System Design Team moved forward with the mining system. Their first goal is to get mining functional for planet/moon surfaces, so the Prospector will be fully operational. They will move on to additional mining types once that is completed. Mining is still being prototyped but the current results are promising from a gameplay and visual perspective. They are currently able to shatter mineable rocks, and are working on the harvesting functionality that will transfer resources from those smaller pieces into the Prospector’s mining containers. Once completed, they will integrate mining with other systems like radar and scanning, which will be used to find mineable deposits and analyze their contents. Progress was made on FPS Combat AI. After solving low cover, they implemented high cover for Human AI, and focused on making the timings and transitions as snappy as possible. Now, they are slowly moving into more complex behaviors like flanking, which allows the AI to work better as a team and force the player to think tactically and constantly adapt to what the AI is doing. They also considered what elements from human combat could be used by alien races, and experimented with ways to make them feel unique, so players must deal with aliens differently than their human counterparts. The first batch of the reworked ship AI is now in 3.1, though some additional functionality is still outstanding. The system is being built so players can choose how to train and specialize their hired NPCs. FPS AI will use the same system in the future to achieve similar goals. On the non-combatant side of AI, they experimented with creating small story vignettes for locations, focusing on Lorville. This should infuse the location with more life and grant the AI more storytelling ability than walking around and sitting on benches. The hope is for players to experience what the lives of the population in a location are like, sympathize with them, and potentially choose sides. To achieve that, the non-combatants need to become more lively and complex. Towards the end of the month, the team worked closely with Level Designers and Artists on the procedural location tool. They focused on the functionality needed for the tool to create nice environments and connect gameplay systems, like rooms, oxygen, gravity, security and generated AI populations. The tool must do it in a way that once the location is generated, there will be only minor adjustments before it can be released. The goal with this system is to ensure the team can output quality content at lightning speeds with a minimal amount of menial work. That way the team can quickly fill an entire universe, while keeping it feeling specific, depending on the location. The DE Build Engineers added a sanity check for the RC to TryBuilder. While engineers work, they may change the Resource Compiler (RC), which can sometimes lead to failed builds. With so many unique asset types, it becomes difficult for an engineer to ensure that nothing is going to break. Additionally, engineers may touch a cpp file without even being aware that it may affect the RC. To alleviate this, they isolated a minimal subset of assets and now have them compiled whenever any code in the main branch changes. Each code change that goes into p4 is checked and the whole process is quick, essentially compiling one sample of every type of assets in the Engine. Now, before starting the process of creating a new a build, the team can check the state of RC. If it’s red (as in, the process described above is failing) they know there’s an issue to address. They also added some powerful dedicated hardware to the TryBuild cluster for profiling speed improvements in compilation. This has brought compilation times down significantly, which shifted focus back to optimizing other steps whose build-times now contribute a proportionally significant amount towards the entire build time. The above illustrates a Perforce-state caching mechanism and smart querying method for comparing local workspace to the relevant global branch the code is being built on. This simplified state-caching mechanism is used to determine if any further version-control communication is necessary. Initial optimizations removed 30 seconds from any build regardless of the machine’s state. In further precise situations, where the slave is confirmed up-to-date, it skips syncing entirely. That saves an additional 30 seconds minimum, yielding build results that can potentially be as low as 15 seconds total. In addition to adding dedicated hardware and eliminating time-costing checks from bootstrap steps for code validation, the team is now looking at binary caching mechanisms so the code-building machines can simply retrieve the compilation results that have already been processed. For the DE QA team, most of March centered around Subsumption testing with a new version available to test each week. As new features are implemented into the Subsumption Tool, the team maintains and revamps the existing documentation and checklists to ensure QA covers all necessary test cases for Subsumption testing. DE QA also supported the in-house development team with various requests from simple tests to verify if issues devs have encountered are due to their local files or an actual issue within the current build, to the more complex tests that require custom binaries and comparing differences between builds. One recent request involved testing changes that could potentially affect prefabs within the Engine. Extensive prefab testing was performed using custom binaries and test cases to intentionally attempt to break the prefab system. When an issue was discovered, this was brought to the Engine Team’s attention, and they proceeded to fix the issue and return new binaries to continue the testing. Similarly, the team focused on numerous physics test requests for changes that could potentially break other functionality within the client. 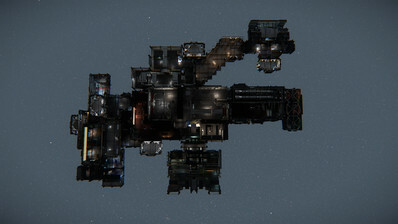 These changes contained stability improvements to address various physics crashes that were plaguing Evocati in the PTU. While they normally work in the Game-Dev stream, most of the testing was focused on 3.1 as the live release date closed in. Focus was primarily devoted to stabilizing the dogfight behavior. Flight AI is a young system, and the team is working on the skill characterization of the pilot’s abilities to balance the overall combat experience. A pass was made on the target chase velocities and attack ranges, two important factors to render the combat dynamics less prone to collide with obstacles or escape the assigned boundaries. The AI team also worked on improving player interaction with combat AI. This comes in the form of new behaviors, internally tweakable parameters (like accuracy and missile usage) for designers, and adding wildlines for PU pilots. For AI FPS Combat, they are currently implementing flanking behavior. Further work was done to update the logic for bullet rain, and improve flinch reactions when an AI’s cover gets compromised and they need to leave quickly or target and shoot. In addition, the team addressed bugs and optimized the code for the 3.1 release. 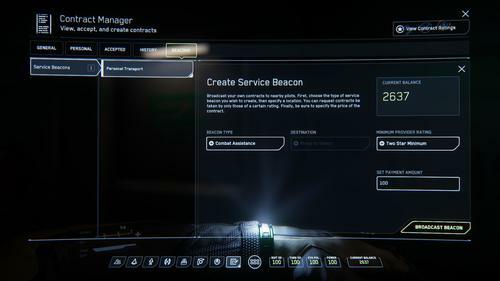 March saw major developments in Spectrum with a new release to PTU and Public, a new connectivity API between the platform and the game services, and cosmetic upgrades to promotion pages. Spectrum version 3.7.4 was released to PTU. This version included custom roles, custom emojis and a user block list. The release to PTU gave the team much needed insight, and as a result they created a list of improvements around these features to be included in the live release. 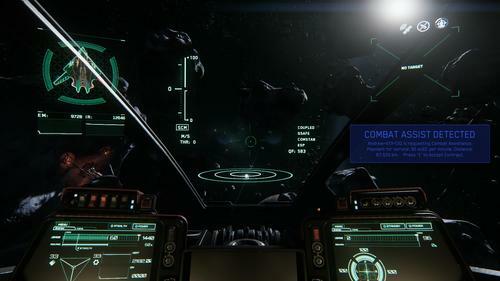 The team had help from the Evocati, who have been instrumental in hunting down bugs and providing direct feedback, in preparation for the live release of 3.7.4. 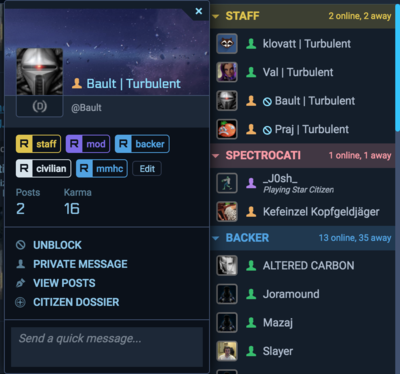 The UX and Design Team has been building interactions for organizations in Spectrum, which includes direct interaction and survey support with Evocati to ensure that the teams are building with community needs at the forefront. Over the next month, Turbulent’s Spectrum development team will refocus their efforts on the game overlay, work towards 3.2 deliveries, and make process changes to align their efforts with CIG’s internal pipeline. Some minor changes were made to the Launcher, with the latest version, 1.0.1-alpha, including consistency check and bug fixes that affect the analytics reporting. The team continues to make minor adjustments to the site’s new elements. You may notice some changes to readability as well as the resolution of some bugs on IE11. The biggest platform changes are not visible to the user. The team rebuilt the Backend API to prepare for new services with Diffusion. Although the work is not complete, the team took on this three-week crunch project to build the base required to move forward. The rework will open the door for new features, most notably Spectrum chat. A new weekly newsletter was launched, with a cleaner sleeker design, includes optimizations for those reading on mobile phones. The knowledge base designs have been approved and are in development. This project is needed resource for backers and the Player Relations Team. Here’s a sneak peek at the final designs. The site’s contact form and mobile design are being polished to provide the best possible user experience. The objective is to help citizens find the information they need, and reduce queue times when they need help from Player Relations. The team supported the setup and design for the St Patrick’s and 3.1 Flyable promotion. It was exciting to see all the in-game shots coming from the new 3.1 flyable ships, and integrate them into the design of the sales page. You can visit the sale here. And this is how quickly a quarter of a year can pass. After announcing the switch to a quarterly release cycle at last year’s CitizenCon, everyone at Cloud Imperium Games was eager to hit this self-imposed deadline and provide players with a content update. The team even provided the community with a public roadmap updated directly from internal project management tools. The weeks leading up to the Alpha 3.1 release have been hectic, but the team made the deadline and released the first update of 2018! Thanks to all the dedicated testers who helped make the release of Alpha 3.1 possible. The entire CIG team sincerely appreciates your efforts during the Evocati and PTU phases, and hopes you have a blast playing the latest version on the live servers! Even with Alpha 3.1 in the hands of all backers, the team isn’t going to rest. 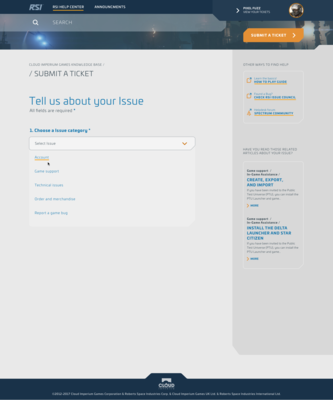 The Alpha 3.2 Feature Survey took the opportunity to reassess development priorities with feedback from the community. It let you vote on what features you were most excited to see implemented or improved, ensuring a fun and lasting gaming experience. Voting is closed, but you can check the results on this page. As always, the team produced content across various social media channels. If you haven’t already, check out the new crowd favorite Calling All Devs, where Jared Huckaby calls developers from his desk to ask questions voted on by the Star Citizen community. Episodes of Around the Verse focused on performance and optimization, the AI on the living Idris, the sounds of science, and a magnificent Ship Shape featuring the impressive Aegis Reclaimer and the nimble Tumbril Cyclone. Speaking of ships, the Aegis Vulcan was the first concept ship in 2018 and a gateway to a versatile support career in Star Citizen. The team celebrated St. Patrick’s Day with special offers and the Constellation Phoenix Emerald – an appropriate variation to celebrate the spirit of the Irish holiday. Alongside the promotion ran a St. Patrick’s Day Screenshot contest where you had the opportunity to win game packages, including the aforementioned Phoenix. Check out the event thread to see all the entries. Well done everyone and congratulations to the winners! Also, the team celebrated a marvelous milestone when the number of citizens hit the 2,000,000 mark! Thank you for joining us on this journey. You inspire us every day through your creations, and we’re happy to be part of such an active and creative community.